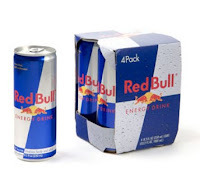 FREE 4-pack of Red Bull! Head over here and upload a photo to score a FREE 4-pack of Red Bull! You can share your photo on Twitter using hashtag #shareyourwings or with Facebook to use a photo from one of your albums. When your photo is approved, you’ll receive an email on how to get your free Red Bull 4-pack!